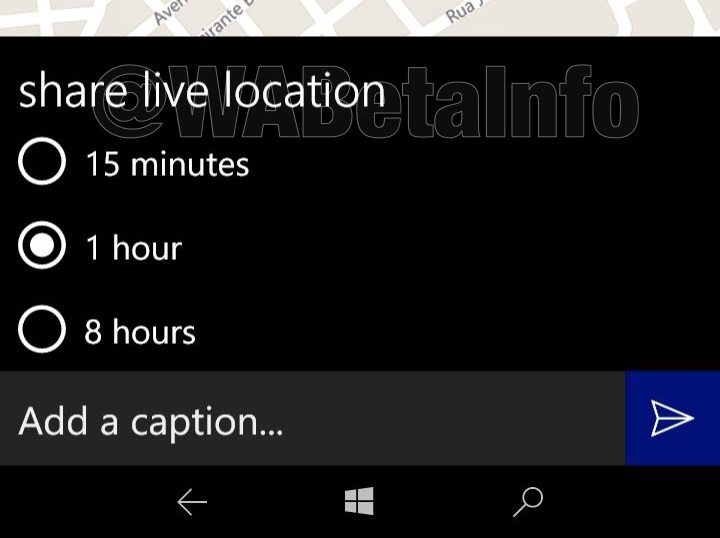 WhatsApp is rolling out the Live Location feature for Windows Phone users! 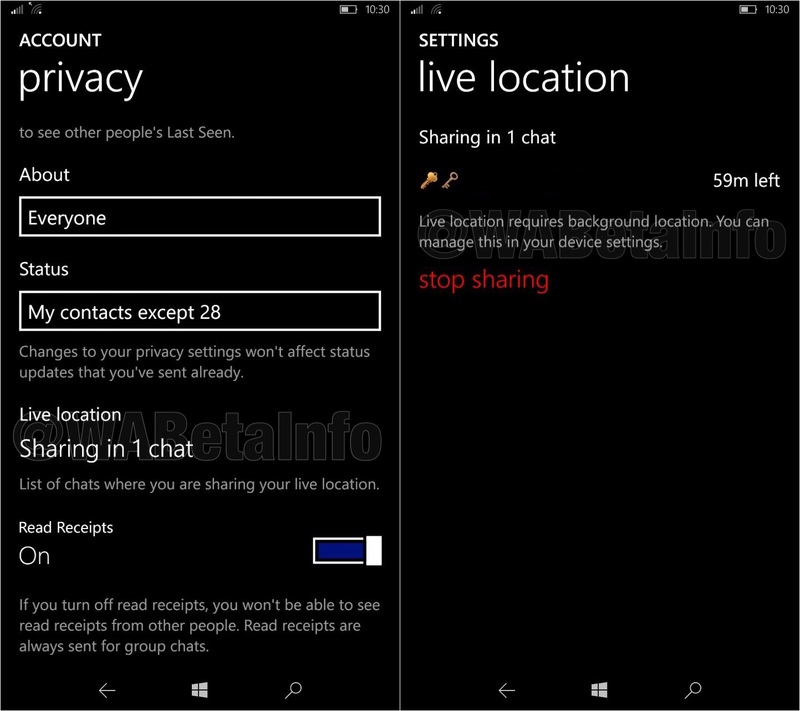 WhatsApp has submitted a new update for the beta app for Windows Phone, bringing the version up to 2.18.106. 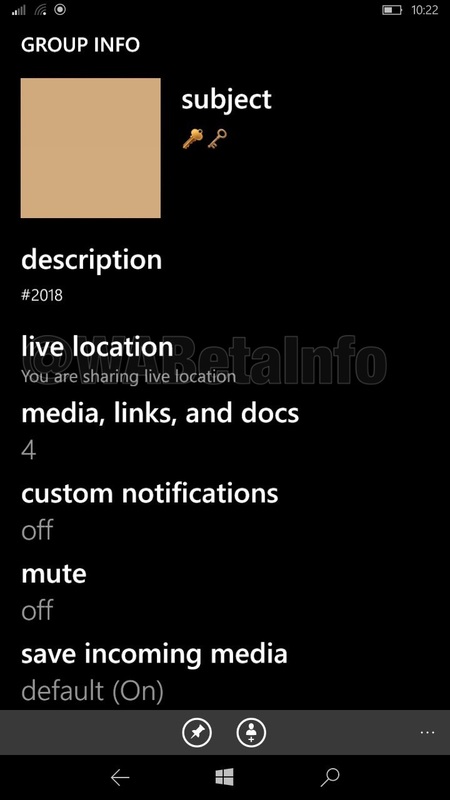 Apparently there is no news, but WhatsApp has remotely enabled something..
You need to update your WhatsApp version to the 2.18.106 update, in order to remotely receive the activation of the Live Location feature. Precedent versions might get the feature too, but it’s always recommended to use the latest version available on the Store, to quickly see the feature enabled. 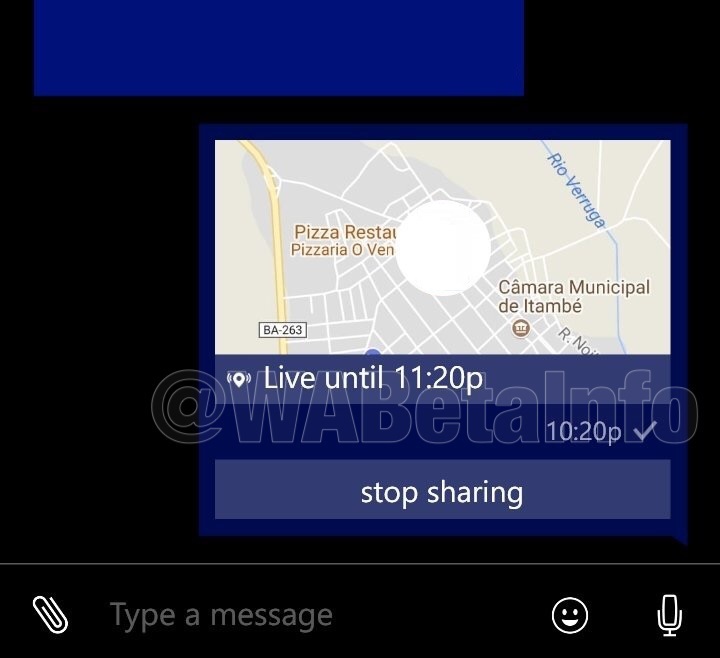 Exactly after 7 months compared to the iOS and Android releases, WhatsApp has finally enabled a very important feature for Windows Phone: in fact, since today, WhatsApp is rolling out for all Windows Phone beta users the Live Location feature! 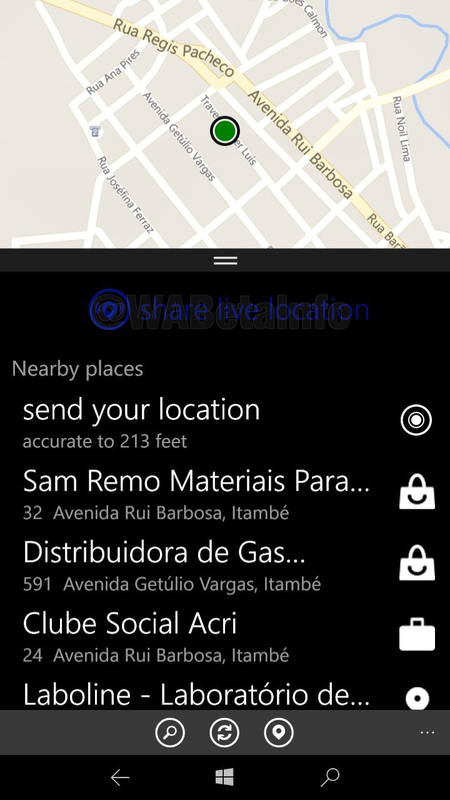 You can share your Live Location in chats and groups. If you want to try, open a chat and tap the Attach icon, then Location. Sharing the Live Location is secured with end-to-end encryption: it means only you and the recipient can see it, and nobody in between, not even WhatsApp. 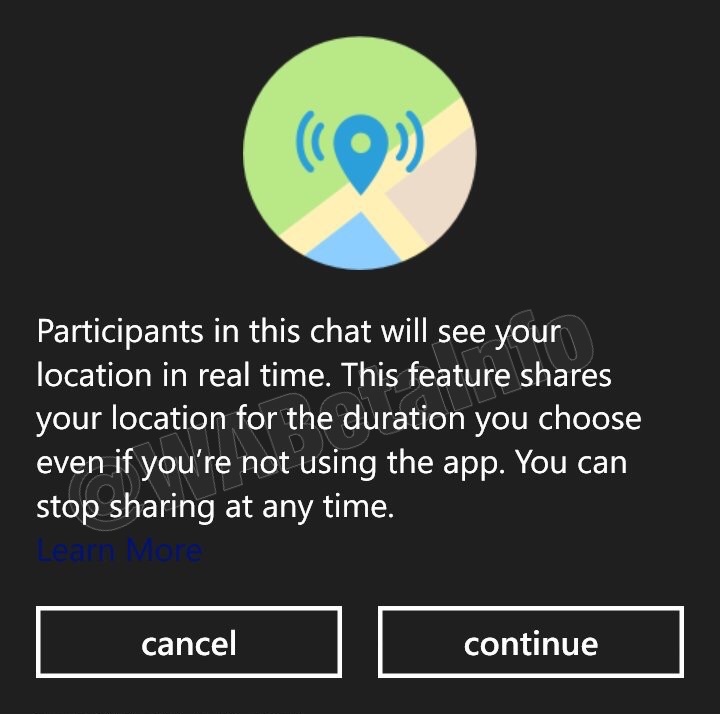 As above mentioned, you can stop sharing it at anytime or you can also delete a Live Location for everyone, so WhatsApp will automatically stop to share it. Previous PostPrevious WhatsApp beta for Android 2.18.159: what’s new? Next PostNext WhatsApp beta for Android 2.18.160: what’s new?